They really do have Blu-ray release timing down to a science, don’t they? Four of the most Oscar-winning films from just 48 hours ago hit Blu-ray last week or today, February 24th. So, we thought we’d pull them out of the in-process Home Entertainment Consumer Guide and highlight them specifically, also letting you know when and where to find all of this year’s Oscar nominees and winners on Blu-ray in a list at the bottom with links to buy your own copies. Winner of Best Picture, Best Director, Best Original Screenplay and Best Cinematography on Sunday night, Alejandro G. Iñárritu’s “Birdman” became one of the most divisive films of the awards season when it surpassed critical darling “Boyhood” and popular favorite “American Sniper” to become the clear frontrunner about ten days ago. Sure, there were some who still thought “Boyhood” could sneak in but when almost all of the Guilds started citing “Birdman” as the best of the year, its Oscar wins became inevitable. How will “Birdman” stand up over time? That’s the only real question now. Winning Best Picture can be a curse, as some solid films become punchlines by cynical viewers unwilling to accept the idea that a big Oscar winner could actually be a great film. So many more people dismiss “Argo” and “The Departed” now than ever would if they had actually gone home empty-handed. And so the legacy for “Birdman” becomes one of the unique ones now. One that will always be associated with this year’s Oscars. 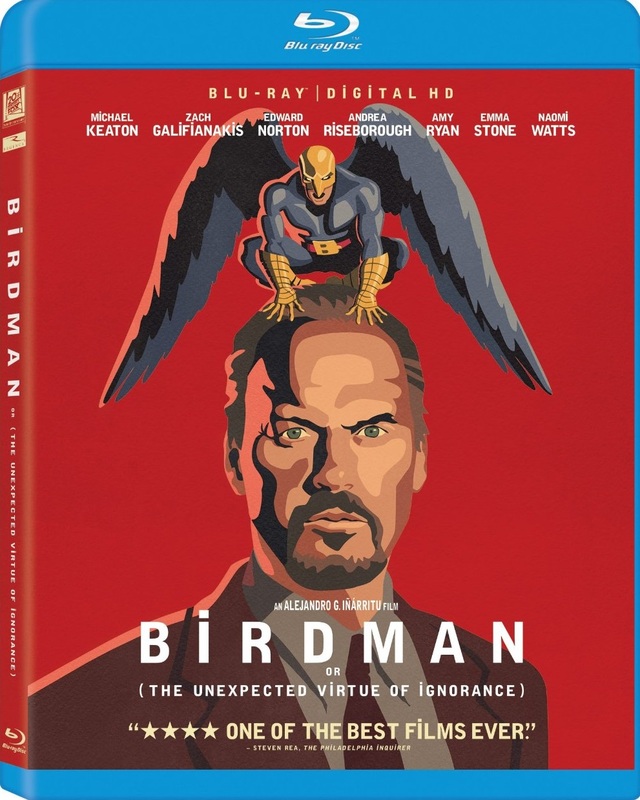 I’m curious to see how “Birdman” holds up in a year, five years, a decade. It’s such a unique film. And I do wish that the Blu-ray offered a bit more insight into its production, such as a commentary or more detailed appreciation. It feels like this release was thrown off the assembly line as quickly as possible to capitalize on the Oscars, and given the film’s relatively low box office, I can respect that. Get the film to as wide an audience as possible. Then we’ll see if it holds up well enough for a special edition down the road. Winner of Best Supporting Actor, Best Editing, and Best Sound Mixing, this Sundance Grand Jury and Audience Award winner hits Blu-ray, DVD, and On Demand services today. You’ve probably seen so many clips of J.K. Simmons’ terrifying performance by now that you think you’ve seen the movie. More than any other recent film, I’ve talked to a shocking number of people who think they know exactly what “Whiplash” is even without seeing it. They don’t. And I’m even amazed at the different responses I’ve heard to the film from those who did bother to view it before making up their mind. It’s easily one of the most divisive films of the year, with people I respect on either side of the aisle. And that’s one of the things I love about it. 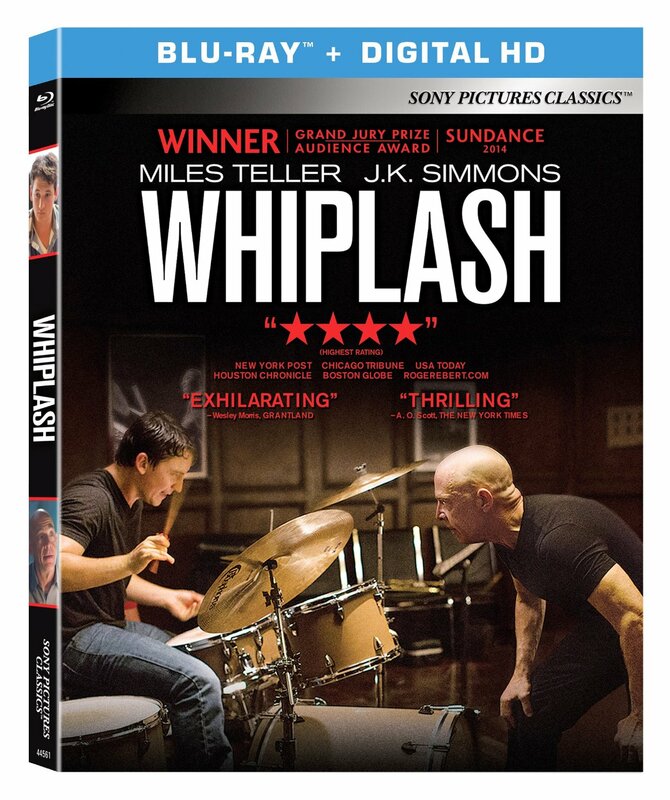 We need more films that provoke conversation in the market and “Whiplash” was a cinematic talking point from Sundance to the Oscars and now it will continue to be so on Blu-ray and DVD. My review says everything I need to about how I feel about the movie itself. As for the Blu-ray, this one is a bit less of a rush job to capitalize on what happened this week with more detailed special features, including the short that preceded the existence of this film and from which it was adapted, and the excellent Sony HD video and audio treatment. They’re one of the best for new releases. And “Whiplash” is a movie that needs to be watched in a dark room and loud. And, preferably, with someone to argue with about it when it’s done. This week’s Best Actor Oscar winner came out on Blu-ray last week and I’m sure audiences will be catching up with it this week as, like most of this year’s winners, it wasn’t exactly a box office juggernaut. Also, like most of this year’s winners, it was highly divisive. Me, I’m not a fan. I like James Marsh’s work in general, especially his entry in “The Red Riding Trilogy,” but I find the approach here too predictable, too cookie cutter, too filtered through a manipulative TV movie lens. 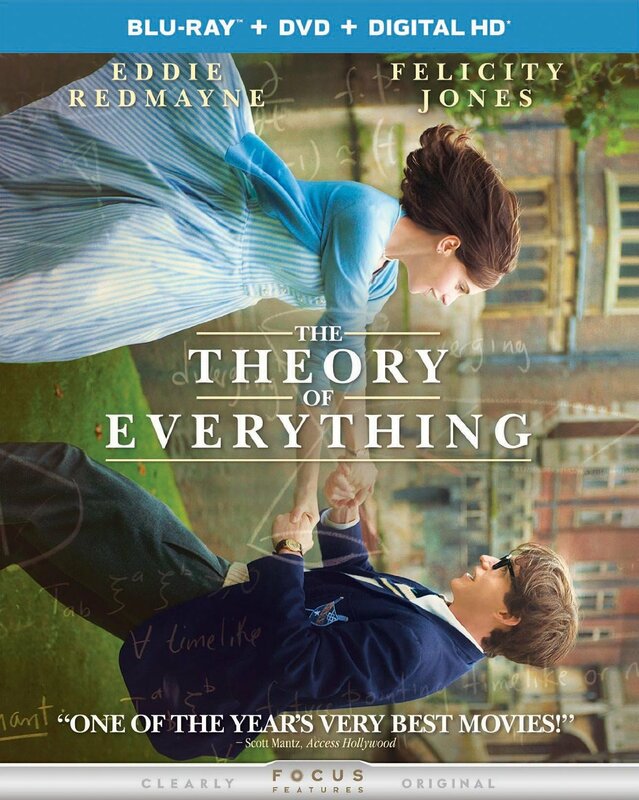 After a promising opening act, “The Theory of Everything” doesn’t do anything substantial, especially in the way it fails to truly capture one of the most important thinkers of the last century. Redmayne isn’t bad but it’s not in the same league as David Oyelowo in “Selma,” Jake Gyllenhaal in “Nightcrawler,” or Brendan Gleeson in “Calvary.” Observant Oscar fans will note none of those three men were even nominated so, yeah, I had some issues with Best Actor this year. I like Redmayne in general and he seems to be just about the nicest guy in the world, but I wouldn’t be surprised if the history books are more surprised that THIS is the film he won for than anything else. 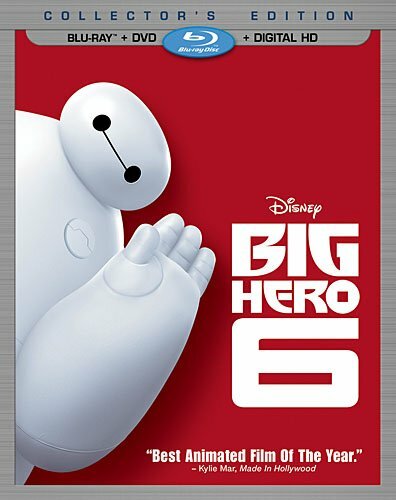 Another disappointing pick on Sunday night was that for “Big Hero 6,” a cute, sweet, Marvel/Disney movie (Is this the first non-technical Oscar for Marvel?) that certainly isn’t bad but is nowhere near the artistic achievement of “The Tale of the Princess Kaguya” (also new to Blu-ray and which I’ll cover tomorrow in the HECG) or even “The LEGO Movie.” Having three small kids, I’ve seen “Big Hero 6” several times. It’s fun. Don’t get me wrong. And the Blu-ray is FANTASTIC, as most new Blu-rays for Disney movies end up. This one gets special points for including two Oscar winners as the Best Animated Short “Feast” is also included on the disc. “Feast” rules. And if you’re a Disney collector, you should pick this up for it alone. As for the feature, it starts strong but I don’t love that it ends up teaching kids that their way through grief is to turn into an action movie. Again, not a bad movie, but it feels like the wrong choice for Oscar. The Origin Story Of "Big Hero 6": Hiro's Journey - Discover how the filmmakers turned a whimsical comic book into a true Disney animated super hero adventure. Hosted by actor Jamie Chung (Go Go). Big Hero Secrets - Find this Easter egg about Easter eggs! Big Animator 6: The Characters Behind The Characters - Meet the artists who bring the movie's colorful, quirky team to life. Want to know when the other Oscar winners and nominees are available on Blu-ray? Check out the handy cheat-sheet below and click on the link to all of them to buy or pre-order.